These popular 98 sqm villas feature a beachside location with direct sea views and access. A small stretch of green grass is all that lies between the villa and our private beach. Enjoy your day lounging on the sunbeds reading a book, or keep cool in your personal plunge pool. Whenever the moment strikes, skip down to the sparkling sea for a refreshing swim or playful moment on our tree swing. All private villas have a contemporary tropical design with a rustic island style set among lush tropical gardens. 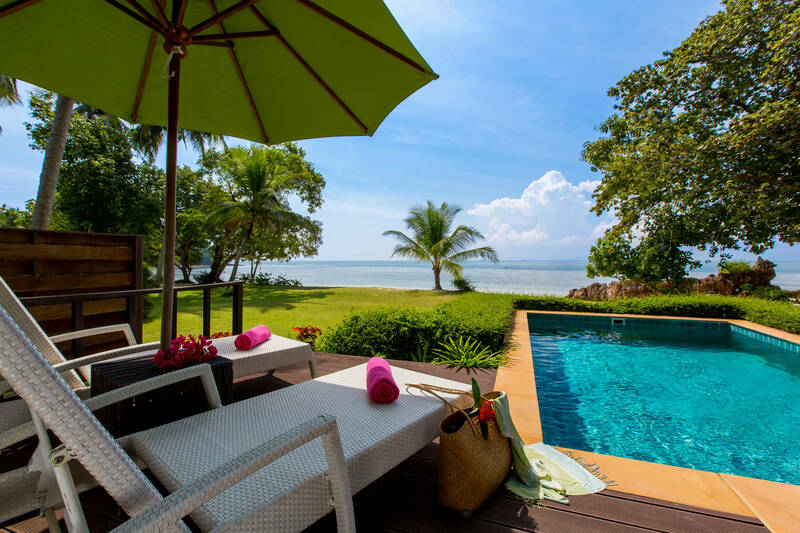 The unique island layout provides stunning views and direct access to the enticing shores of the Andaman Sea.